For anyone on an RV rental journey across the amazing state of Utah, it would be highly advised to make a stop in Park City. This former silver mining down has been transformed into one of the hippest spots in the state and is host to the annual Sundance Film Festival. Due to the influx of visitors, the dining, shopping, and nightlife here are stellar. Plus, there are a number of outdoor activities year round that allow you to experience some thrills as well as to witness the gorgeous and diverse surrounding countryside. There is so much to do and see here that you may want to schedule in a number of days just so you can get it all in. For first time visitors, check out the activities and sights below. This is the most famous and happening restaurant in the town, and as you can guess the food here is absolutely amazing. In a town with tons of eating options, to make a claim as the best restaurant you really need to bring on the good eats, and Riverhorse certainly does just that. Try the Alaskan halibut if you’re into a fresh fish pick me up, and for the vegetarians there is the famous crispy tofu that has been raved about in many a review. Rivrhorse is simply the top restaurant in the area and the perfect indulgence after all those long hours on the road. If you’re in the mood for a drink, a great place to grab one is the High West Distillery on the town’s Main Street. This is the first distillery opened in the state of Utah since the 19th century, featuring countless specialty drinks and live music on most nights as well. The whiskey drinks here come highly recommended, including the famous Campfire Whiskey and the equally popular High West Lemonade. This establishment manages to be both lively and cozy, with patrons enjoying their drinks in a nice atmosphere as the snow swirls outside. Popular with both locals and tourists, the High West Distillery is the perfect taste of the nightlife in the area. If you’re sore and stiff after a day on the slopes or simply from the long RV rental journey to get to Park City, then make sure to stop in for some relaxation at one of the area’s many top rated spas. One of the most notable is Spa Montage which really has it all on its massive grounds. There is a lap pool, man different saunas and steam rooms, a salon and fitness center, plus whirlpools and much more. With the added space comes a less crowded atmosphere, so you can really kick back and enjoy your experience at Spa Montage without the rushed and cramped environment you get at some of the other popular spas. If you wish to get out and see the surrounding countryside, you will definitely want to take advantage of one of the many horse riding opportunities in the region. These guided tours will allow you to get out on the trails and in the forests, where you can get a feel for how the miners lived all those years ago. Note that this option is not available in the winter, but if you are here in the Spring or summer then definitely take advantage of this opportunity. It goes without saying that Utah offers some of the finest skiing opportunities in the world, and park City puts you right in the heart of the action. Here you have the famous Deer Valley slopes plus Park City, two of the most popular and in-demand skiing spots in the country. Both of these resorts are located right outside the town, so if you’re staying in Park City you have easy access. As a matter of fact, there is a lift that starts right outside the Distillery, so you can literally be lifted right off Main Street and onto the slopes. Utah is known all over the world as a mecca for skiers, offering fresh powder slopes with challenging trails and many amenities for visitors. Featuring two of the most popular resorts in the region, Park City is a skiers utopia if there ever was one. 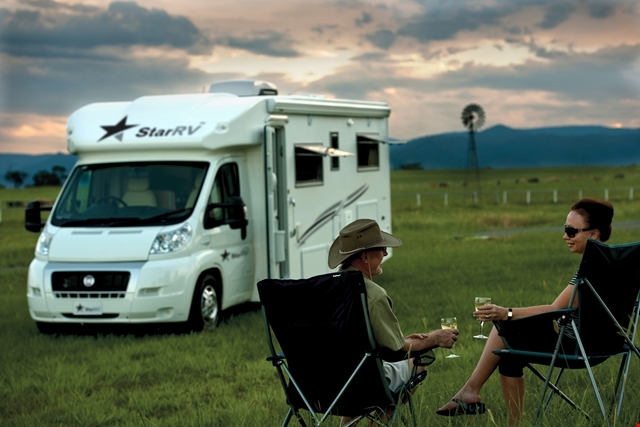 Great to visit in both summer and winter, Park City is the perfect stop for RV rental travelers in the region. The sheer amount of activities and beautiful sights in this historic region is staggering. Not only do you have all the famous outdoor activities such as world class skiing, horseback riding, and hiking but you have a hip town with lots of nightlife, shopping, and great eating to take advantage of. Do yourself a favor, rent an RV and put Park City on your must-do list for your Utah trip.